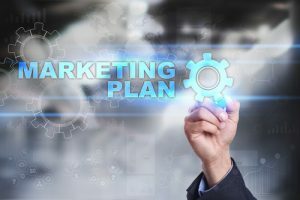 Which marketing approach is best for your business? This is a question many business owners struggle with. The good news is we can help! The marketing team at WebDesign309 has worked with thousands of companies. From small, local companies to regional and even national firms, we have provided the proper approach thru systematic processes defined in this article. While we always prefer to handle this process in-house, we are happy to extend our knowledge to our followers. Creating a focus study is essential for any marketing plan. Start by thinking like a customer, not a business owner when formulating your questions. Be ready for whatever response you get. Some will give you feedback you do not want to hear, however, you must listen to your customers to get a good plan started. Surveys are best when conducted online, as customers are more honest when they do not have to face the surveyor. We recommend using www.surveymonkey.com. Surveys should be between 10-20 questions and only require 15-20 minutes to complete. Blend a combination of answer formats, such as multiple choice, star ratings and yes (or) no answers. Surveys should ask about your company reputation, media habits (such as which channels they listen to or watch the news on) and what customer likes/dislikes about your industry. Creating a budget is simple yet vital. A simple recipe for your company is 15% of gross sales for companies that are less than (5) years old and 10% of gross sales for all others. Your budget should include a blend of online media, traditional media and “touches”, such as direct mail or customer appreciation parties. Be consistent! Many business owners create a great plan and get impatient. You need to trust your plan, implement it and stick to it. Some companies get immediate results while others need more time to build momentum. The single largest mistake business owners make is taking down their marketing when it is close to working well. Your costumers need to sometimes hear your message 7-10 times before they take action. If you have more questions or would like a free consultation contact our office at 309-213-9398!